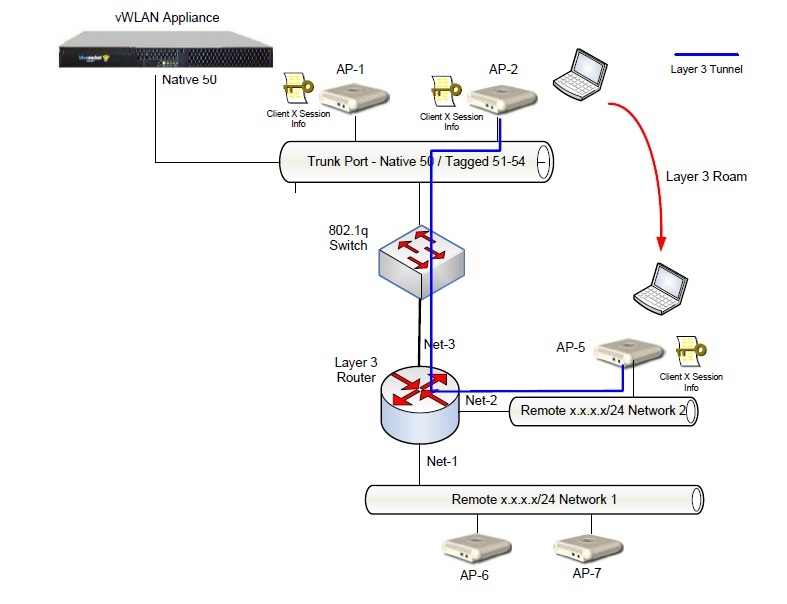 vWLAN is virtual wireless lan technology is being developed by www.bluesoket.com and company is recently acquired by Adtran. The solution offering is basically based on the extension of roaming user to his home AP network. As per my understanding, every access point need to fill the details of each user location and access rights policies which is really cumbersome. 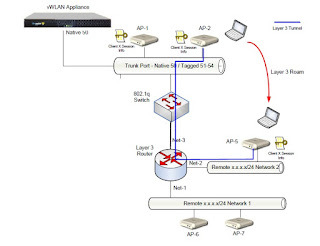 As per above diagram(captured from white paper), all the roles are configured on AP-2 for student and when the student roams from Ap-2 to AP-5, AP-5 sees that the student location is based out of AP-2, so AP-5 extends its tunnel to AP-2 and AP-2 allocated the ip address and all the access roles to user student. If IP address allocation is the only concern, in that case home agent kind of device should be used which is actually responsible of allocating same ip address where ever you roam. If I compare the solution with normal access points and controllers, it is bit weird; instead of doing the centralization they are opting distributed architecture consequences unnecessary use of bandwidth from one AP to another AP in case of roaming user. Note:This is completely a personal view and has nothing to do with any person or company.